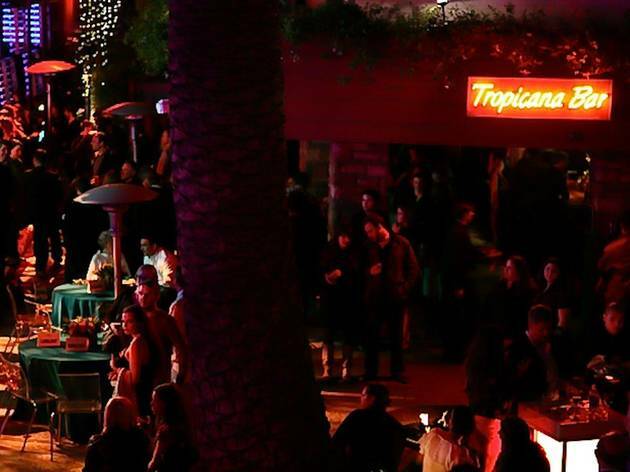 Homemade LA—the nightlife partymaker behind Melodic and the Wet summer parties in LA and San Diego—takes up residency at the Tropicana Bar on Thursday nights, bringing their serious brand of house music with them. 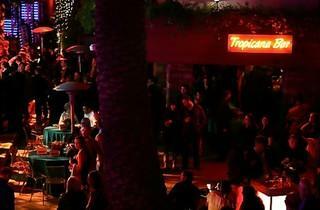 Nightcrawlers who regularly turn up for DJ sets by Mark Farina, DJ Dan and Miguel Migs will show up to dance circles—not swim laps—around one another. Not that the pool in this open-air playground (one of LA’s largest, with a 600 person capacity) will go to waste: shot callers who go for bottle service will race remote-controlled boats on the hour, vying for prizes from possible brand partners like Agent Provocateur, who furnish the staff with its swimwear, and Yacht Club Vodka, who sponsor the night. Expect to party alongside both PYTs who make this party their personal Mykonos and bros who are used to buying their way to victory. A caveat: the caliber of boat you’re given to race depends on how much coin you sink on booze.